Onrec.com grew from a monthly newsletter to a well respected international magazine, online news portal, recruitment industry directory and global events business. Onrec is established as the worlds leading resource for information, comment and opinion about the online recruitment industry, it’s trends, it’s key players and it’s future. As part of Onrec’s continuing mission to further discussion between HR, recruiters and the online recruitment industry, I have chaired conferences in Sydney, Las Vegas, Hong Kong, London, Dublin, Brussels, Sao Paulo, Istanbul, San Fransisco, New York and Chicago. I am a contributor to Hr.com, Classified Intelligence LLC and founded the Online Recruitment Marketing Council. In 2006 I was appointed Director to the Board of the Digital Content Forum where I represented the ORMC and the interests of the UK online recruitment industry to UK government. Chris Bones is Partner and co-owner of Good Growth Ltd, a consultancy aimed at transforming commercial and organisation strategies to deliver superior top and bottom line growth over sustained periods of time. He is also professor of Creativity and Leadership at Manchester Business School. His latest book 'Leading Digital Strategy' was published this year (2015) and has already received considerable praise from senior leaders. Written in partnership with James Hammersley from Good Growth Ltd it sets out a blueprint for leading successful e-commerce. His last book The Cult of the Leader won the CMI/British Library Management Book of the Year Prize for 2012. He is also Dean Emeritus of the Henley Business School having led the merger of Henley Management College (where he was Principal for 3 1/2 years) and the University of Reading. The school is one of Europe's leading institutions holding triple acceditation, a queen's award for enterprise and with its MBA programmes ranked in the world's top 10 by 'The Economist'. Prior to leading a business school Chris worked in Industry for 22 years in mainly HR roles starting in Shell, moving to GrandMet, Guinness (and after they merged), Diageo and finally Cadbury Schweppes. He was an independent director of the UK's Agricultural and Horticultural Development Board and chaired its Audit and Remuneration Committees, Chair of the Terrence Higgins Trust Board and Chair of the Supervisory Group of AIESEC International and a regular columnist and contributor to newspapers and magazines on management and leadership. He led the Reform Commission for the UK's Liberal Democrat Party in 2007/8. He acted as an adviser to the Hutton Commission on Fair Pay in the Public Sector and to the MacLeod Report on Employee Engagement and has advised the last two UK governments in matters associated with business, innovation and skills. Kevin Crews is a highly respected recruiter and trainer with over 20 years in the training and recruiting profession. Beginning his career in computer programming, Kevin soon found himself working to build a training department and developing and teaching technical courses to an IT staff. Transitioning from training to recruiting for the IT team, Kevin found his passion for recruiting talent. As a recruiter, Kevin has hired and trained for Fortune 500 companies including Aon Hewitt, Discover, Morgan Stanley, Citigroup, Sears, OfficeMax, ALLTEL as well as the University of Chicago (NORC). Kevin attended Purdue University where he earned two undergraduate degrees, one in Education and one in Management. He also holds an MBA from Kent State University. Chad Horne is currently the Head of Resourcing at Three, the mobile network operator, where he has worked since 2014. He is responsible for ensuring Three has the right talent, in the right place, at the right time. He previously worked at TalkTalk where he implemented a direct sourcing model and transformed the commercial impact of the resourcing function. He is passionate about strategic resourcing and driving talent management to enable companies to achieve their goals. Chad has been involved in resourcing, talent and HR for over 15 years and is keen to constantly push the boundaries in enhancing the customer experience and digitalising this approach. Daryl is the Head of OD at Cafcass, responsible for reward, engagement and health and wellbeing across the organisation. Since starting at Cafcass in 2007, he has helped transform the organisation from cutting edge to on the edge, culminating in it being assessed as Good with Outstanding leadership in a 2014 Ofsted inspection. His contribution to the HR service has helped ensure it is business-focused and strategically aligned to the business. The approach Cafcass has taken to health and wellbeing was recognised by Ofsted as Outstanding, and the work Daryl has pioneered in his current role helped Cafcass win ‘Best Healthcare and Wellbeing Benefits’ at the 2014 Employee Benefits Award. Prior to Cafcass, Daryl worked at Aldi Supermarkets. He is a passionate Newcastle United fan and has a keen interest in cycling. I have wide experience in helping organisations attract, recruit and retain the best talent across sectors and specialisms. No longer a stop-start communication, this should now be a constant conversation, and one which doesn't only start once you express an interest or stop once you've joined. My role primarily is as consultant to the business - balancing focused talent requirements with the broader aims, purpose and objective of the firm. As a highly significant recruiter of both students and experienced professionals, the role involves thinking years into the future while delivering in real time, everyday. Quite the variety. And quite the great place to work. Rita Trehan, a business transformation specialist, is Chief Capacity Officer at Rita Trehan LLC. Having worked with several Fortune 200 companies, she is now a global business transformation consultant. Rita works with CEOs and C-level executives to increase profitability and transform operations through proprietary tools and advisory services. Using data analysis, workshops, and proven change management strategies, Trehan creates respected organizations. She builds businesses by harnessing the power of emerging technologies, maximizing efficiencies, and operating at full capacity. As a global HR leader at Honeywell and AES Corporation., Trehan helped rethink how business was done. From profitable ways to launch business units around the world to inspired means of measuring performance, she consistently improved strategic operations, saving time and money in the process. Experienced in working with CEOs and senior management, Trehan can spot opportunities for organizational improvement and craft plans that align resources to maximum profitability and growth. Her involvement in transformative activities (mergers, large-scale international expansion, global market entry, organizational model revitalization) over many years means she offers a global perspective and a vast array of skills. Trehan has led change management initiatives in more than 30 countries across five continents. She has enacted global sustainability reporting, safety, and performance improvement initiatives in 27 countries, delivering savings of more than $100million. Trehan developed leadership programs with the University of Virginia Darden School of Business. These are available worldwide through universities in Ukraine, Brazil, Panama, Pakistan, Singapore, and Cameroon. Belinda Johnson is owner of Worklab - an employment research consultancy. She is also an associate one of the world's leading consultancies dedicated to 3D Printing & Additive Manufacturing. Worklab monitors the forces that impact organisational need for people - all facets of work, working and workplace - and the changing sentiment of those people in terms of how, where, when, on what and for whom they will choose to work in the future. Clients include trade associations, research houses, data aggregators, a range of providers within the recruitment industry (including MSPs/RPOs, agencies, technology providers and accounting/payrolling/employment specialists) and the investment community. Matt Wynes is the Head of Corporate Partnerships at Whizz-Kidz, leading on the creation of partnerships with a range of organisations to support the organisational objectives of the charity. This includes strategic partnerships, funding relationships and sourcing work placements for young wheelchair users. Whizz-Kidz is a national charity that works to transform the lives of disabled children across the UK. The charity supports disabled children through the provision of mobility equipment, support and helping children gain the life skills they need. It gives children the chance to develop to their full potential and become confident, independent young adults. I joined Levenes Employment as a Paralegal in June 2010, having completed the Legal Practice Course with a distinction the previous year. I became a Trainee Solicitor in 2012, spending the majority of my training contract working in employment law. However, I also gained experience in immigration law and civil litigation. I qualified as a solicitor in January 2014. I handle all types of employment matters, but particularly enjoy the forensic examination required in constructive dismissal, discrimination and sham redundancy cases. Through working with the partners during my training I have gained experience of complex and high value cases, including in the Employment Appeal Tribunal and Court of Appeal. I have conducted advocacy at preliminary hearings and also at a three day full merits hearing in the Employment Tribunal which resulted in the client's claim of unfair dismissal succeeding. I've spent 15 years in the online media space as a highly successful senior manager. I've led businesses of 250+ people in the UK and the US. Most recently I was CEO at fish4 and Managing Director at Monster.Co.UK. I've joined Johnston at the right time as local media is becoming the key driver of the whole SoLoMo upheaval being played out across the 'post desktop' space. I've started my own business, worked in startups and spent a year at NBC-TV; a division of GE, one of the largest corporations in the world. I most love opportunities to grow businesses - it's great fun, I'm good at it, it beats the alternative and it gives me the chance to move good people into new roles that will stretch and develop them. I'm quite proud of the vast number of people I have managed who have moved onto senior management positions. I intend to keep that momentum going at my latest opportunity at Johnston Press for the web brands JobsToday, MotorsToday and PropertyToday along with our new directory / social networking / voucher product called Find it. Dan took the helm at Broadbean in September 2010. His previous jobs as Digital Business Development Director for DMGT, and his work with the various digital businesses in the portfolio, primed him well for his role at the Bean. Career opportunities can come along unexpectedly and Dan would say that the timing of this particular opportunity was perfect. An exciting prospect with a business he knew well - just two of the motivations behind his decision to join the Bean team. Dan believes strongly in maintaining a healthy work-life balance, and occasionally manages to achieve it. Golf is his biggest weakness, both in terms of his obsessive focus and lack of talent, but he is also interested in a wide variety of other sports. Increasingly, watching is becoming more common than playing, but he still hasn't given up hope that he will receive the call to don the red of Liverpool FC (but don't hold that against him!). Tony has worked in the software and IT Services Industry since 1987. Having worked for both Software Authors and Systems Integrators, selling ERP, CRM, HR and Payroll software and service, IT Outsourcing and Business Process Outsourcing in both the Private and Public Sectors. As a recognised and respected Sales Director in the sector, Tony has continued to deliver success with Vacancy Filler Recruitment Software; helping the company to triple its turnover since 2013 by highlighting existing problems within recruitment and helping to deliver a solution to the market that solves the recruitment problems of today and prepares a company to combat the problems of tomorrow. We are market leaders in the field of online recruitment and we continue to grow internationally through relentless focus on the quality of our products, ongoing innovation & services that helps our customers run their businesses even more successfully. Matt Alder, Digital Marketing and Recruitment Evangelist, is the founder of strategic consultancy MetaShift and has spent the last twelve years working in the online space. He became involved in online recruitment fourteen years ago, spending seven years as Head of Interactive Media with TMP Worldwide followed by four years as Head of Digital at Penna Barkers. During this time Matt worked on digital recruitment and brand strategy for numerous clients across both the private and public sectors helping pioneer the use of tracking tools for digital recruitment marketing. Matt is passionate about innovation and has a strong interest in how the digital revolution is changing the way companies communicate. He has written and spoken extensively on the future of recruitment and is a highly respected blogger with an international audience. Matt is also an enthusiastic social media experimenter and a regular commentator on all aspects of the emerging field of "social recruiting". He recently became the first person outside of North America to be named by John Sumser andRecruitingblogs.com as one of their global top 100 recruitment and HR influencers. Appointed Chief Executive of the Internet Corporation in 2002. Mark is an experienced executive closely involved in the delivery of Internet services since 1995. A successful entrepreneur, he spent a good part of his earlier career heading up a large property management company and was a co-founder of one of the UK's first property portals. Over the past 14+ years, Mark has dedicated himself to online recruitment, having formulated the vision and strategic direction of the company, leading and financing a management buy out in 2008. 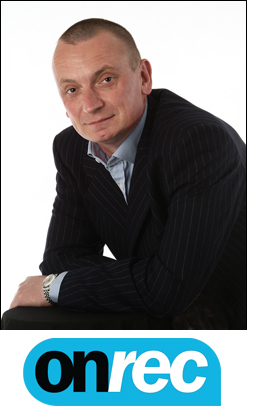 Mark is well known in the sector, and a founder member of the Online Recruitment Marketing Council. A highly commercial interim HR professional with 17 years+ resourcing experience, operating at a senior leadership level gained within HR Corporate and Outsourced environments globally, spanning multi-industry sectors. Proven ability to design, deliver and implement best in class resourcing solutions with a core focus on delivering operational and cost efficiencies whilst driving through change and projects via a consultative, partner based approach with a high commitment to customer centricity and stakeholder management.